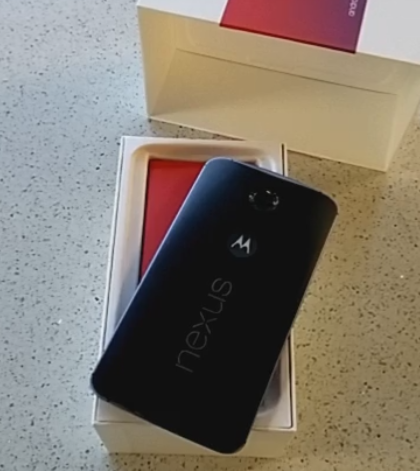 Wondering what the Nexus 6's box looks like? Wonder a little less - a T-Mobile employee just posted an unboxing of his test unit phone on Vine (given that he's a social media evangelist, I'm guessing he got the OK). It's a phone, and it's inside a box. A white box. With some red accents. Also, a giant embossed 6 on the front. Pretty different from the kind of packaging we've seen on other Nexuses to date. Whether this will exactly mimic the retail packaging, we can't say for sure, but it's a good bet this is what you're going to find when you feverishly tear apart that UPS delivery later this month.